Las t week Mockingbird Marketing made an announcement: That Lucy Davis had become a Lawyer of Distinction. Hey! I’ve received those offers too! The problem? Lucy isn’t a lawyer. Lucy is a dog. The four-legged woof-woof kind. Mockingbird (which builds websites for lawyers) put up its satirical posting to show the worthlessness of many lawyer “awards” — they put in an application for their dog and it was accepted. To practicing attorneys, this comes as no surprise. We are besieged by such companies doling out awards like fun-sized Halloween candy, with of course, a nice fancy plaque to hang in your office. Or maybe a crystal “trophy.” No, they aren’t free. To my knowledge, these are all private companies that are unaffiliated with any recognized bar association. I wrote about one such company a few years ago, marketing the Million Dollar Advocates Forum. I wasn’t particularly nice about it. 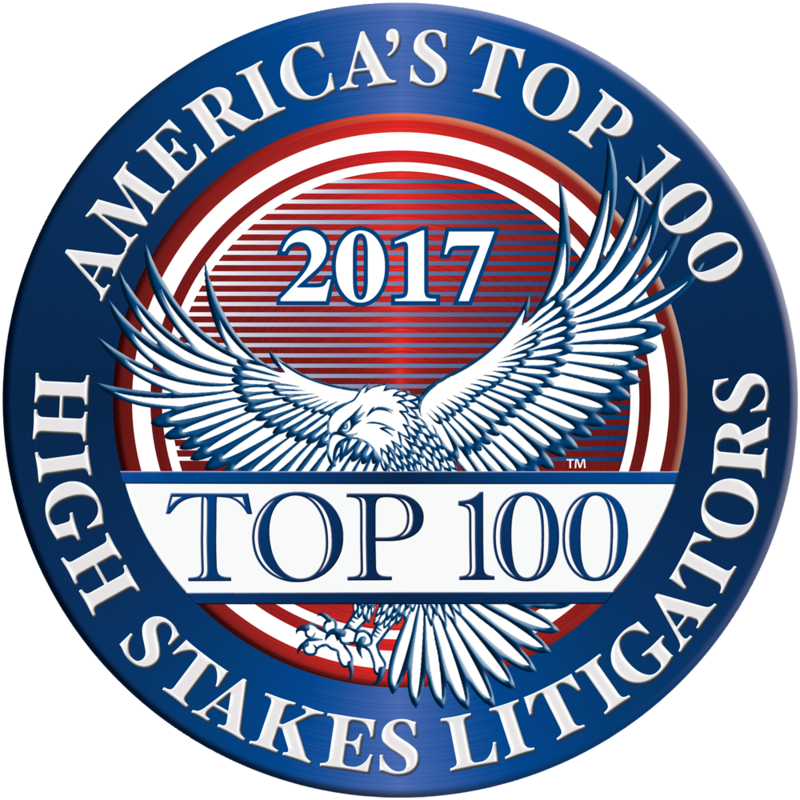 First up, simply because it’s on top of the pile, is America’s Top 100 High Stakes Litigators. The annual membership is $300. Nice badge they give you, huh? 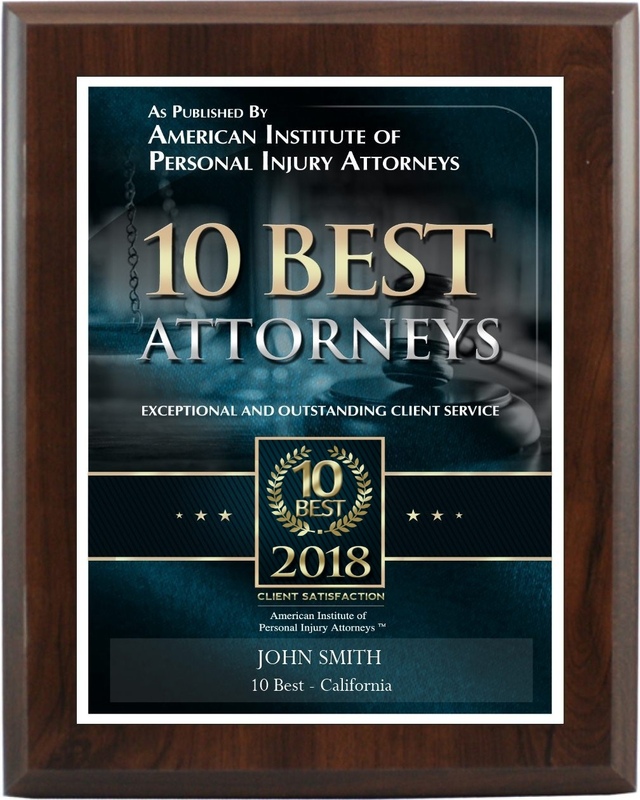 Next up is the American Institute of Personal Injury Attorneys — “10 Best Attorney” for New York. It’s $295 for 2018, as per its website. And I love the disclaimer on their About Us page regarding warranties of merchantability and fitness for a particular purpose. Nice plaque. Then there is Corporate Vision, which “selected” me for its 2017 Legal Excellence Awards as “Best Law Firm 2017.” This comes with a pitch to be in Corporate Vision, whatever that is, along with profiles, interviews, a nice crystal trophy, digital logos, etc. The price wasn’t in the pitch, but this sure as hell didn’t look like a non-profit. I was also “selected” as of one of AI Magazine‘s “One to Watch in Law.” Woo-hoo. It comes with a “bespoke crystal trophy” and digital winner’s logo. Never mind that my practice has nothing to do with artificial intelligence. All for just £185. You read that right. That is British pounds. No, I’m not admitted to practice law in Great Britain. Next up, the American Society of Legal Advocates. Sounds impressive! And I was selected as eligible for the Top 100 Litigation lawyers in New York! (What, no top 10?). It comes with a plaque and an electronic badge. All for just $200 each year. Rue Rawlings’ Best Attorneys of America — Limited to the Top 100 attorneys in New York. The dues are $1,000. National Association of Distinguished Counsel — Top One Percent. Annual membership is $300. Trial Lawyers Board of Regents Litigator Awards — The fee is $1,500 if they “certify” you for inclusion. 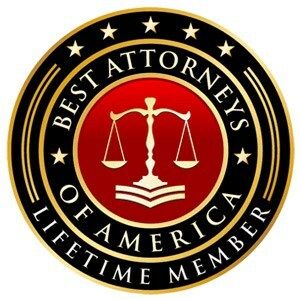 I confess to being a bit uneasy putting this company on the same list, as its marketing materials are very impressive and they ask for certification of certain verdicts and settlements. Nevertheless, if there is a fee to join, that makes it a club with a name, and not (to me) an actual award. Awards don’t have strings attached. Some folks may ask about SuperLawyers, which I’ve written about before. I remain unclear how valuable that honor is, and while it isn’t a non-profit for sure (sold to Thomson West in 2010) they’ve never demanded a fee to be listed. Bottom line for the consumer: There are a lot of companies out there hustling “awards” designed to make lawyers look good to potential clients with fancy badges, plaques and crystal trophies. Don’t be razzle-dazzled. You’ve been warned. I was amused some months back when I was named one of New York’s personal injury “SuperLawyers.” I had some ambivalence about it since it was difficult to know much about the magazine’s methodology in making selections. But no matter now; the company has now been sold to Thomson West and my days on the list, it seems safe to say, are numbered. I’d bet good money I won’t be on it next year. Why? Because Thomson West also happens to own FindLaw, whose dreadful history of selling links, ripping off a certain blog name, exploiting dead victims for its dreck-blogs by a writer who appears to know little about the law, and diminishing the profession of law in general, has been a recent topic here. FindLaw gets paid big buck by some lawyers, and it has lost business as a result of my posts regarding its conduct. And if you charge $10,000 a year to lawyers, it doesn’t take more than a few lost pigeons accounts to tick people off. So you can bet that FindLaw will make sure that SuperLawyers keeps a healthy distance from me next year. But they really have a bigger problem than little old me. You see, folks, FindLaw will want it’s big-paying customers to be included in the SuperLawyer listings. And since SuperLawyers thrives on the very expensive magazine ads that supplement its listings, and FindLaw has an existing catalogue of lawyers willing to spend heavily on marketing, those lawyers are real important. Some B-law grad was whispering the magic word “synergy” into the ears of the powers-that-be. So while the purchase by Thomson West would seem at first blush to bolster the credibility of SuperLawyers, the company actually runs smack into an inherent conflict of interest that gums up the works. While it tries to build an objective rating system with SuperLawyers it is also taking big money for the FindLaw listings. And that is a big problem if you want to claim objectivity in ratings. [Christopher Kibarian, president of the Business of Law group] said that a key priority for Thomson will be to provide assurances of the independence and integrity of Super Lawyers ratings. Super Lawyers already employs a rigorous selection process, he said, one that has been recognized by bar associations and courts across the country for its credibility and sophistication. It combines peer nominations and evaluations with third-party research. Each candidate is evaluated on 12 indicators of peer recognition and professional achievement. Selections are made on an annual, state-by-state basis. On top of that, Thomson will create an independent advisory board to ensure the integrity and independence of the ratings process. Will it operate independently? Ask yourself this: Do you trust any company that would exploit a dead child for ad copy on a faux-blog? FindLaw’s credibility is currently around zilch. And that means that everything that comes near it will be adversely affected. Thomson West will try to build up the SuperLawyer’s brand, which already suffers from credibility problems. But as long as they keep FindLaw’s dreck-blogs, they will run into continuing problems. And that is in addition to the conflict and credibility issues. If Thomson West has any hope of success here it will have to figure out way to rise to a higher place. As the legal blogosphere confronts ugly lawyer commercials, ghostbloggers (more, more and more) comment spammers, and marketing hustlers of every stripe, the major companies should be trying to reassure its customers that if they are entrusted with the marketing of a lawyer (and therefore with the lawyer’s ethics) they won’t screw things up. And right now, the opposite is happening. A relative told me something that I already knew: That I had been selected as a personal injury Super Lawyer. They knew because it had been published by the New York Times. Yeah, well, kinda sorta. But not really. Super Lawyers is a supplement to the magazine; an advertising supplement. You don’t have to pay to be listed, you only pay if you want your name displayed prominently in a large box or page with a story about you that looks like news. Sort of an advertisement within the advertisement. I think the marketers call it an advertorial. I declined their offer to pony up big bucks for such an honor many months ago. But now comes the other issue: What, exactly, do I do with this “honor”? Is this really an award to put on your wall or display on your website? Or is it a faux-award? A pseudo-faux award? A mockery of a pseudo-faux award? A mockery of a sham of….OK, you get the idea. I have mixed feelings about this. The company that puts out the information says the lawyers are vetted before they appear. So if we are vetted, then perhaps this really is something to be proud of? Peer nominations and evaluations are combined with third party research. Each candidate is evaluated on 12 indicators of peer recognition and professional achievement. Selections are made on an annual, state-by-state basis. Of course, they never asked me to evaluate any of my peers. And I don’t know anyone else that was asked to do an evaluation. (Update: Now I do.) They have a full page of words on their website to describe their process, but it doesn’t seem very revealing to me. They have a “research department” that assigns “point values” to different criteria. I must confess that this all seems pretty meaningless to me. If you want to know if I’m good at what I do, it seems you would have to read a brief I’ve written, read a deposition I’ve taken or perhaps watched a trial. Even if a lawyer comes in second at trial, an observer might still be able to gauge how comfortable s/he is inside the well of the courtroom. Everything else is, shall we say, hearsay. Inadmissible. But that little logo sure looks nice, doesn’t it? And it would look great on a website if someone were looking for counsel. (Though not so good if a juror should see it and conclude I was thoroughly full of myself.) And I can’t just say that Super Lawyers is making stuff up, because I could be very wrong about that. I just don’t really know. And they don’t really reveal the way they do their analysis, despite all the words they use to talk around the issue. So what will I do? I don’t really know yet, though putting it on my website (the website that I hate) and then linking that “honor” back to this post showing my complete ambivalence might be one option. At least it would educate the legal consumer a bit about those that put such things on their sites or on their office walls. And I am also left with the impression that this is a notch above being in the Million Dollar Advocates Forum. Of course, that didn’t really set a very high bar. Update: Super Lawyers was sold in February 2010 to Thomson Reuters, which might tend to give it more legitimacy, though it isn’t without its problems regarding conflicts.